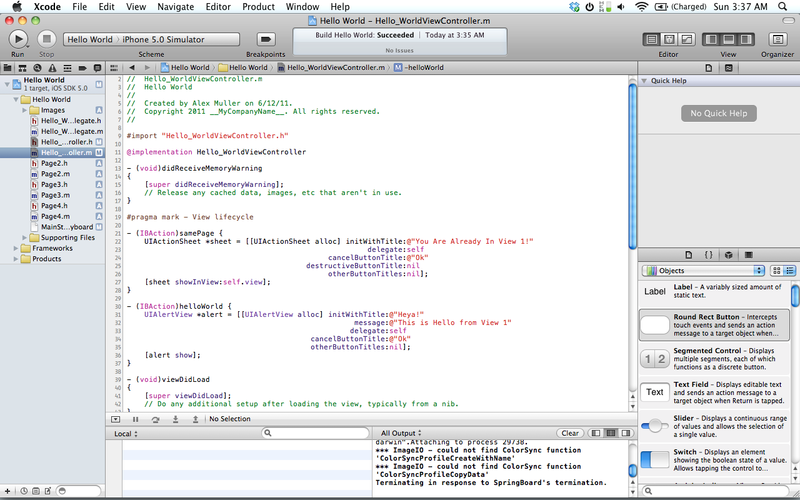 Okay guys, well I figured I would start off my using of Xcode 4.2 with this blog post. 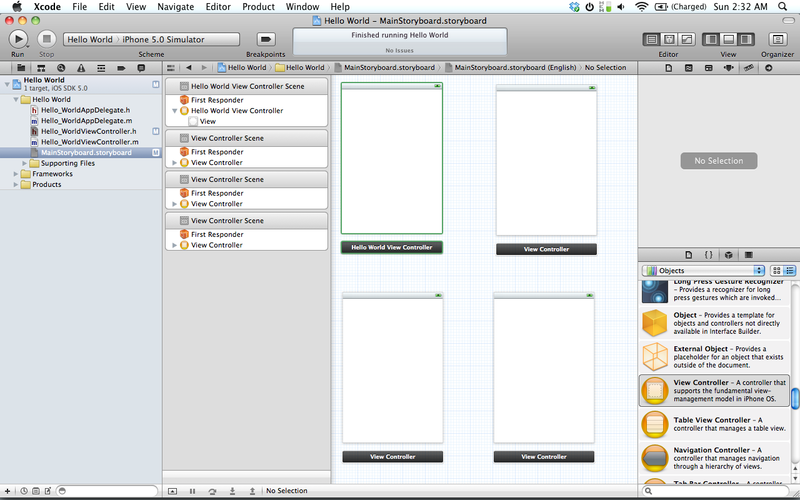 I have never used Xcode 4.2 before this, so let us see how intuitive storyboarding really is. I am not going to go into detail of what “@property” and “@synthesize” are, I am assuming you already know basic coding. If enough people ask, I will explain everything. So let’s start out with a Hello World application. And we will now also place a UIImageView within each of these, to give them all a background, the backgrounds are uploaded below. Now we are going to do the fun part. Now, if you are familiar with Xcode 4.0.2, you know that if you want to show a new view, you have to push it onto the screen using modal views, something I know about all too well. 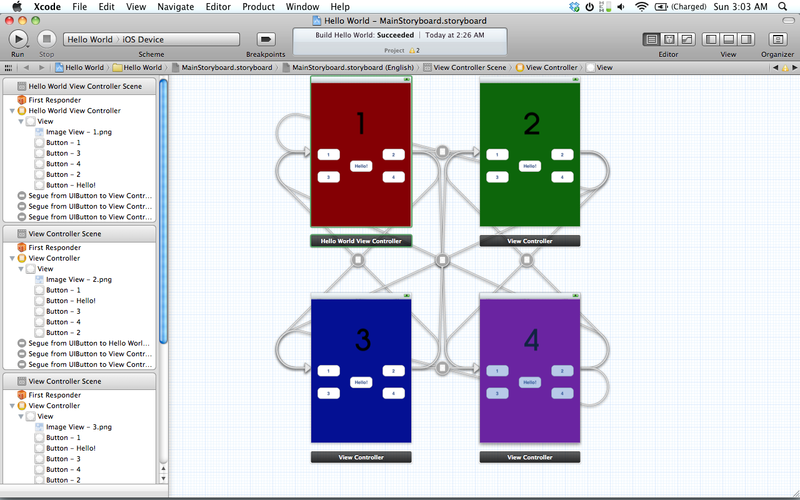 Even though there was not much code to doing this, Storyboarding allows us to do it even easier. Simply just Ctrl drag from button “2”, on the First View, onto the Second View. You will see a function “performSequeWithIdentifier:sender:”. Select that, and that is it! You will also notice that there is a little arrow connecting the two views. This is what is called a “Seque”, and is simply the 3 lines of code in present a modal view. Connect up all the buttons to the corresponding views, except the buttons for their own page — we will use this for something else later. Now I know this is really messy, but it is just how we have it all organized. If on the left side you select one of the Seques, you can change the type of transition as well as the effect, as shown below. Now, we will actually do some programming to add some more effects to these pages. You will notice that we only have one .h and one .m for only one view, so we need to construct 3 more. We will go ahead and add a UIViewController subclass for each, and when asked what type, make sure it is UIViewController and we do NOT include a nib. We will set this up in a minute. Now if you noticed while looking at the settings for each of our created View Controllers, you would notice that they are not associated with any files where they will get data from. If you go to View 2, and go to the identity inspector, you will see a field titled “Class”. This is where the view pulls in data from. Put in the title of your .m/.h file for your second View, as shown below. You will also notice in the storyboard that the name of the scene changes when the file is added to class. And then we actually write the functions. You will notice in the .m file, there is no longer a need for deallocing or releasing/autoreleasing objects, since Xcode now does this itself. Pretty nifty if you ask me! 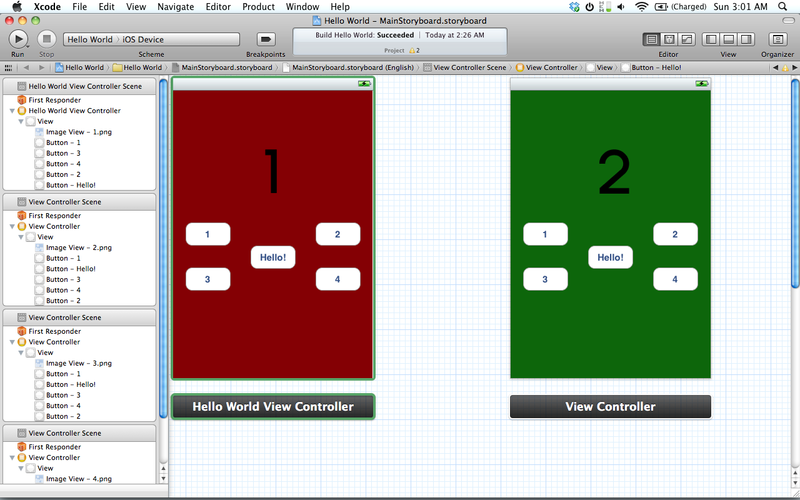 And now we go back to the Storyboard and connect the buttons to our newly created functions just as we do in Xcode, except you point the button to the View Controller, not File’s Owner, since there isn’t one. Do this for the rest of the views in the Storyboard, creating similar functions and connecting them. The video below shows how the project runs once everything has been hooked up, and the source code for this project has been included at the end. Any suggestions for the next tutorial send me a message or comment below! Awesome stuff, been looking for something like this. Wondering if you have any details about using initWithNib: and storyboards, something for a Navigation app i’m trying keeps giving a SIGABRT error. Keep up the good work! I was thinking the same thing actually, since you can create a uiviewcontroller class with a xib file. 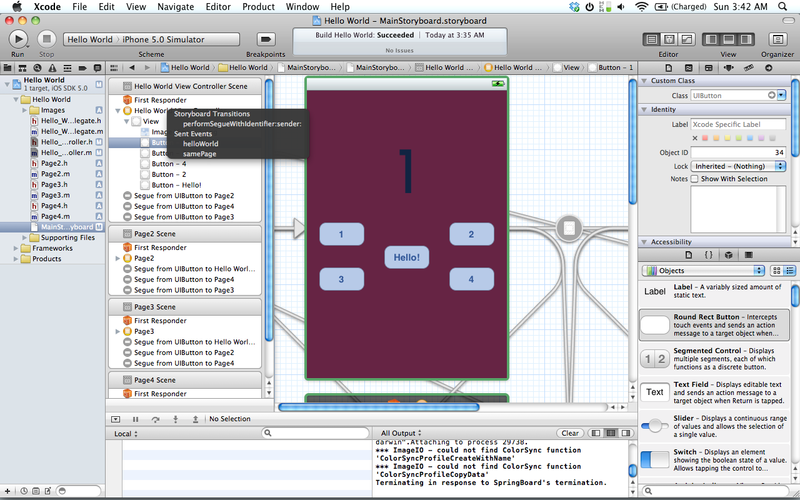 Try adding a uiviewcontroller scene, and then creating a uiviewcontroller class with the nib. Set the new scene in your storyboard’s class to your newly created file, and in the viewdidload try and add an initWithNib on self. I’ll will try this when I get home. This really cleared a lot of things up because I went blindly into Xcode 4.2. I really appreciate it. This was helpful – I wasn’t sure how to create the .m and .h files once I added a view controller! This filled in the missing piece. I’m pretty positive this feature is already in Xcode 4.0.2 and previous versions, unless this feature has been improved in some way. Guess I was late to the party, the last version I used was 4.0.1! I have already tried Editor -> Embed in -> Tab Bar Controller. 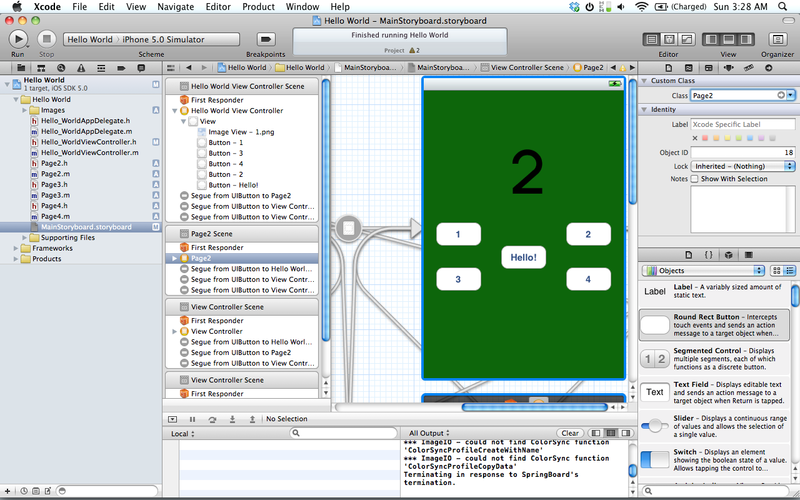 It looks correct in IB, with the tabBarController with a green frame around it, and the navigationController connected in the viewControllers for the tabBarController. However when i run the app, i only get the status bar, a black window and an empty tab bar on the bottom. 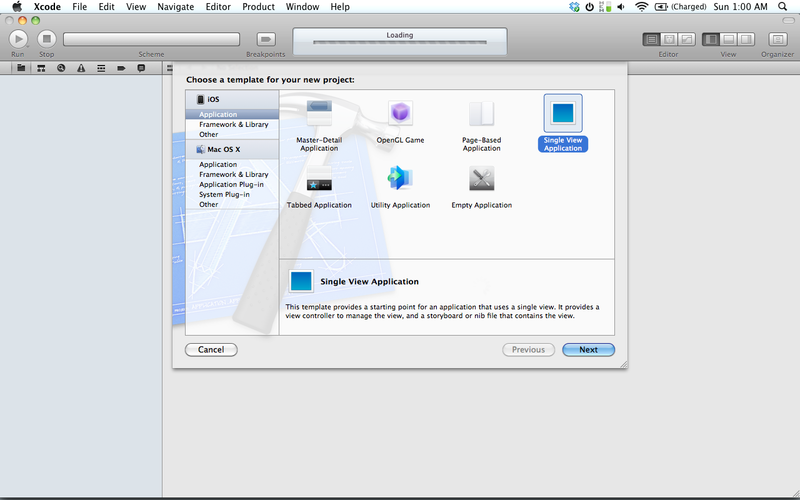 The navigationController and tableView are missing. 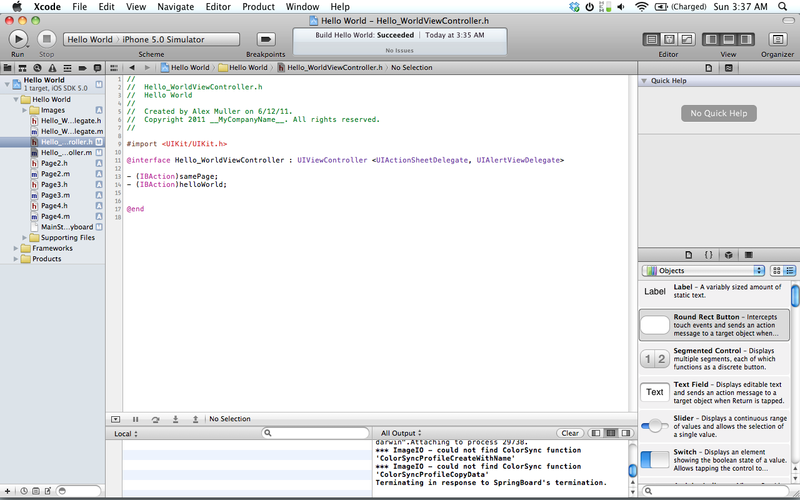 When i ctrl-drag from a button to one of the other views, I don’t see a function “performSequeWithIdentifier:sender:”. Instead I see ‘Storyboard Segues’, with three options below it; push, modal and custom. Selecting ‘Modal’ seems to be the one you need to select, for anyone else having the same problem. “Now I know this is really messy, but it is just how we have it all organized. If on the left side you select one of the Seques, you can change the type of transition as well as the effect, as shown below.” It is just a nicer way of doing so, also the first half of the video is basically the same thing as what you are saying. Awesome tutorial! Tnx for this! Would you be so kind as to show us how to use the page-view controller? Many thanks for fantastic tutorial ! Nice Job on the tutorial. 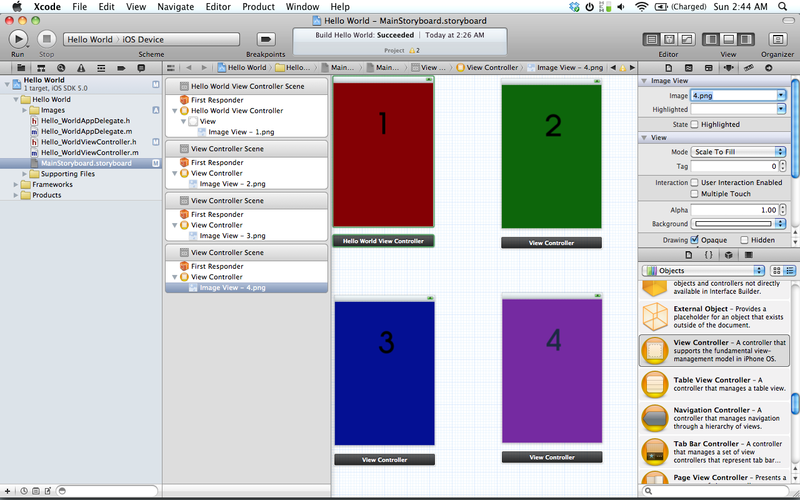 Really helped to understand and get started with storyboard. Keep up the good work! Great intro to Storyboards. I really appreciate your efforts. Very nice! Thanks for sharing this. The books all use older versions of XCode so their exercises are hard to follow through. 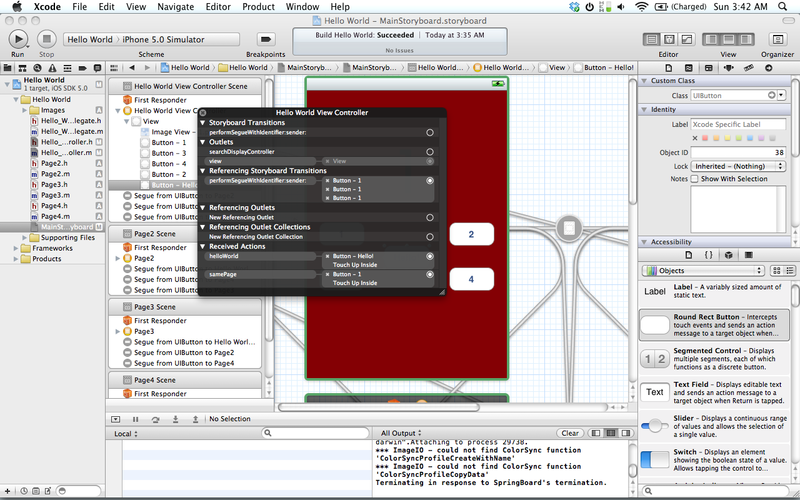 is releasing on Nov 24th with the newest version of XCode referenced. Very Good Tutorial. . .
One Thing I noticed that while doing Partial Transition the page, next page comes on the screen but the page we were on still be there in the curly shape. I m new to it, so please help me out. Hi, thanks. The best Storyboard explanation on Internet ! Thank you for this one! You were the first to explain this so i could understand how to connect view controller files to each scene. But i wanna add something to where you explain this. Its not the scene you connect to the files. Its with the scenes owner button you’ll add the files to, under identity inspector. How do i copy them in? I can’t drag & drop? After looking over a number of the blog posts on your blog, I truly appreciate your way of writing a blog. I saved as a favorite it to my bookmark website list and will be checking back in the near future. Take a look at my website too and tell me what you think.